The rumours have finally been confirmed that CSKA Moscow are out of the EuroLeague Women. There is still a question mark concerning their participation in the Russian SuperLeague because they played against Nadezhda in the last round of games and won (84-69). Katie Dougles, Becky Hammond and Janel McCarville by all accounts have already played their last game for the club and are already on their way home to America. As for Ilona Korstin, (left) the face of women’s basketball in Europe, her future is unknown at the moment. She is a dual national French, Russian and should not have problems finding somewhere to play. 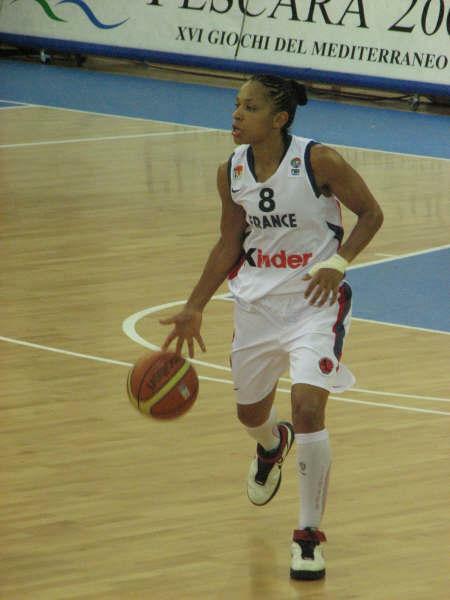 Edwige Lawson-Wade, (right) the other French player on the CSKA Moscow team as well as Ann Wauters from Belgium who spent her youth development years in France are also two other players on the market. Russian international Olga Arteshina is another big name that will be looking for a club. At the moment there is confusion on the FIBA Europe website because they have removed all the results of CSKA Moscow from the records for this season. This is an important factor because of the ranking system used to develop the second (play-off) phase of the competition.